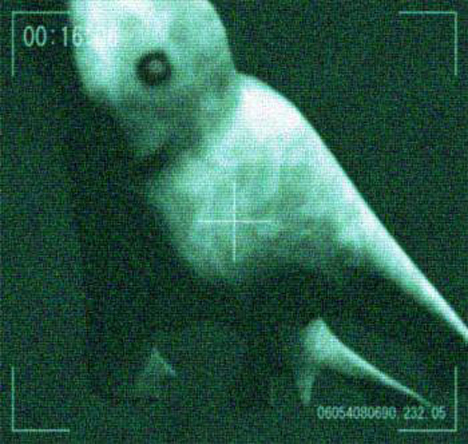 Well, it seems that the Deep Ones have been spotted in Antarctica by the Japanese. They dare much, these Deep Ones, for the city of the Old Ones– infested with Shoggoths– still awaits rediscovery atop the Earth’s forbidden peaks at the austral pole. Has to be, because Lovecraft was actually right about a lot of things- although his racial politics were distasteful even by the standard of his times. The Ningen, ladies and lords, and the glory that is pinktentacle.com. Looks like a 100,000 may have died in the Earthquake on Tuesday. 48 tons of emergency supplies and 2,000 Marines are onboard speedy ships coming to help dig out, set up field hospitals, and facilitate law and order. An air craft carrier and multiple support vessels are enroute as well. The Coast Guard just arrived to set up communications and air traffic control. It is time to live up to our national mythology, and damn the cost of it. Count on the national government to find a way to focus the charitable urges of the nation- a flood of donations and canned food drives- with shipping arranged by some friendly corporation. The Mexicans are a rather large presence in the region as well, and don’t be surprised if even Cuba shows up to help. And- America must resist the urge to “fix” Haiti during reconstruction in any way except to leave behind a staggering amount of useful stuff. Our national will has tried to “fix” Haiti several times before and it hasn’t worked out very well for anyone concerned. Haitians are clever, just broke. They can do a lot more with a cord of lumber and a set of tools than they can with a paper grocery bag full of cash, and there’s enough unsold raw material sitting around in American warehouses and factory docks to build a stairway to the moon out of PVC pipes and drywall. This is the head of the snake, of course, and a vast conveyor belt of aid is being loaded up all over the East Coast. America is coming, and this is when we are at our national best- when our friends are in trouble. The Eagles are coming. note: Growing up in Brooklyn, I knew A LOT of Haitian families, and my heart goes out for the people of Port Au Prince. There are so many Haitians in Brooklyn, by the way, that this may as well have happened to New York. God speed, good luck, hold on for a couple of days and stay warm- the Cavalry is just on the other side of the hill… hopefully. For Google’s listing of organizations working on Haiti relief efforts, click here.